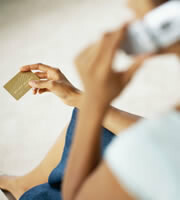 Consumer credit card rates rise -- is inflation the culprit? The U.S. bank prime rate did not change over the last two weeks of August, remaining at 3.25 percent. Business and student credit card rates were unchanged since the last survey, but there was a change in one of the credit card offers for consumers. One of the rewards credit cards tracked by this survey raised its minimum rate tier, meaning that even customers with excellent credit histories would experience higher rates if they chose this particular card. The bigger-picture meaning of this change might be even more important to watch. This time around, just one credit card changed its rates, and that was the first change to consumer credit cards since early May. So, this is far from a trend, but the reason it bears watching is that it might be a hint to how credit card companies are reacting to recent inflation rates. The reason to suspect inflation is that the change occurred in one of the lower rate tiers that are offered to customers with excellent credit histories. This suggests that concern over creditworthiness was not the issue, but instead the measure was taken in anticipation of interest rates generally rising. A strong reason to believe that might happen is because inflation flared up a little in the second quarter of this year. In fact, inflation rates for March, April, May and June were all above the general trend for the past year. These higher inflation rates did subside in July, but that was largely a function of falling gasoline and other energy prices. With tensions continuing to heat up in oil and gas producing parts of the world, falling energy prices may not be a reliable factor going forward. Therefore, inflation will remain a key indicator to watch for clues as to the upcoming direction of credit card rates. As this plays out, consumers should keep in mind that credit card companies react to these economic developments at different times and in different ways, so if the environment becomes more dynamic it will be more important than ever to shop around for credit card rates. While consumer non-rewards credit card rates held steady, the average rate on rewards credit cards rose by 4 basis points, to 17.87 percent. This widened the spread between average rates for rewards and non-rewards cards to 2.39 percent. Though this may seem a slight change, the widening of this spread is a good reminder that there is generally a cost to rewards programs in the form of higher interest rates. When choosing between rewards and non-rewards cards, consumers need to assess whether the economic value of the rewards program exceeds the potential extra cost of a higher interest rate. This depends largely on the consumer's payment habits, and the size of any balance typically carried over from month to month. Student credit card rates were unchanged since the last survey. Business credit card rates were unchanged since the last survey. Credit card offers have different rate tiers, with the lowest interest rates available to customers with excellent credit histories, while the higher tiers are assigned to customers with average or below-average credit. The change in consumer credit card rates that occurred in the second half of August affected one of the lower interest rate tiers, and thus the spread between the typical rates for excellent-credit customers and average customers narrowed by 3 basis points, to 3.98 percent. 0 Responses to "Consumer credit card rates rise -- is inflation the culprit?"